When Europeans made their way to the New World, one of the things they found was that many of the domesticated crops they relied on in the old world did not have native counterparts in the Americas. 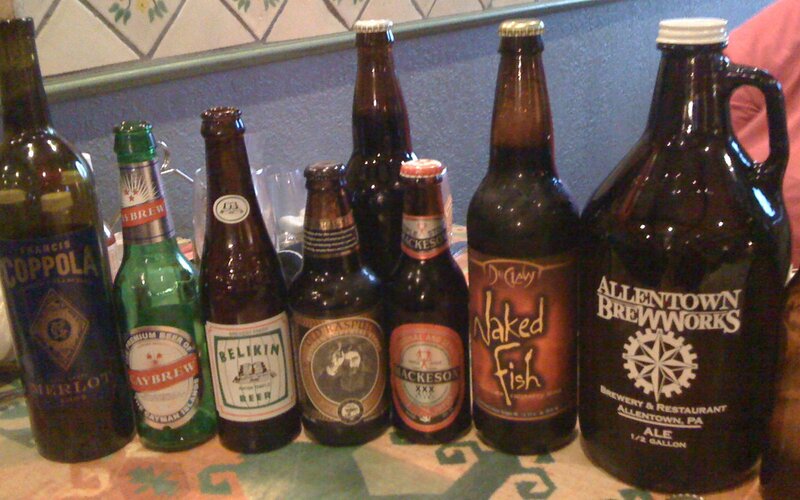 Because this is about beer, you can bet that one of these non-native crops was barley. 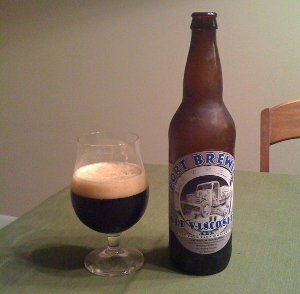 It being in short supply, early American brewers, desperate for fermentable sugars, turned to other crops to make up the difference. Hard-up colonists used all sorts of gnarly stuff in place of malts, including molasses, corn, parsnips, spruce, and, of course, pumpkin. These early brews probably tasted nothing like today's pumpkin beers, as they used no malt at all and probably didn't feature the same sort of spicing we use these days. 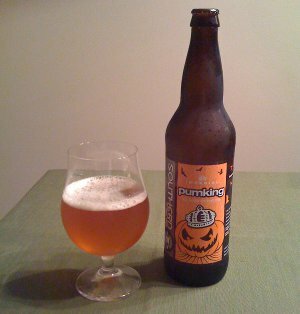 Pumpkin beers are an interesting and apparently divisive breed. Many folks seem to really dislike the style, or to at least think it's a bit on the repetitive side. And it certainly can be repetitive: most make liberal use of standard pumpkin pie spicing like cinnamon, nutmeg, cloves, and ginger. Of course, one of the big challenges with this type of beer is that brewing with any kind of spice is really, really difficult. When it comes to hops, it's easy. If you know the alpha acid content of the hops, there are simple measurements and calculations you can make, thus making it easy to balance the rest of the brew to match. Spices don't have any such easy calculations and their potency varies greatly. This isn't an excuse, but it also represents a big challenge to brewers and when done right, it adds subtle flavors and complexity without overwhelming. For pumpkin beers, though, subtlety is rarely the order of the day. Pumpkin itself doesn't have a particularly strong flavor, but the typical spices are quite potent and can be overpowering. Which, I suppose, is why some folks are leery of the style. Personally, I like it, though I'm glad it's confined to a seasonal exercise. Beer Nerd Details: 9% ABV bottled (12 oz.) Drank out of a tulip glass on 9/30/11. I'm many reviews behind at this point, but in the interest of seasonality, I'm skipping ahead to some of the more recent things I've drank (hopefully I'll get back to the older ones later). I've got a few more seasonals lined up, and the blog is approaching its one year anniversary as well. I don't have anything special planned, but, hey, maybe I'll have a beer. Beer Nerd Details: 5.2% ABV bottled (500 ml). Drank out of a tulip glass on 9/4/11. Russian River's head brewer, Vinnie Cilurzo, is an interesting guy. He started out in the winemaking world, but was apparently so taken with the fact that you could start drinking beer within a few weeks of brewing that he switched over to beer (ok, it probably wasn't that simple, but it sez so on this bottle of Supplication, so I'm sticking with that story). Perhaps to further taunt his winemaking brethren, Cilurzo started playing around with weird wild yeasts and bacterias when making his beers. Take Supplication, which is a brown ale aged in pinot noir barrels with cherries, brettanomyces, lactobacillus, and pediococcus. Those critters certainly add a nice, complex sourness to a beer that would already be pretty flavorful. They're also an anathema to winemakers, who apparently think Cilurzo is a nutbag for using stuff like Brett. It's rumored that those folks won't even enter Russian River's brewpubs for fear of picking up some sort of bug that they'll inadvertently bring back to their winery, infecting their wine (apparently these are hearty little creatures that are difficult to get rid of). 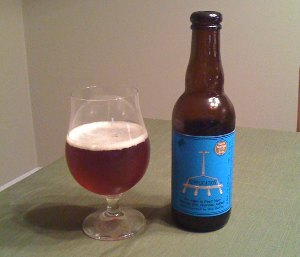 Beer Nerd Details: 7% ABV bottled (375 ml caged and corked mini-magnum). Drank out of a tulip glass on 9/4/11. According to the label, this bottle was from batch 006X2, brewed on 11/7/2009 and bottled on 1/5/2011 (so it was not quite 2 years old when I drank it). Well, I'm either getting the hang of this sour thing, or Supplication really is just that good. I will no doubt continue to dabble in the world of sour beers, though it doesn't look like I have any in the pipeline right now, so it may be a while. Beer Nerd Details: 8.2% ABV bottled (500 ml). Drank out of a goblet on 9/3/11. I'm quite behind on my reviews at this point, but I'm also trying to slow my intake down after the whole Texas debacle vacation. * Yeah, yeah, another stolen Simpsons gag. Well, there you have it, a successful outing and quite a variety of new beers I'd never heard of before. If you're ever in Austin, I recommend anything by Live Oak, as they seemed to have put together the best lineup (yeah, I only had 2 of their beers, but BA seems to rate the others pretty highly too). Before I left, I did stop off at a grocery store and picked up a big beer to bring home: Jester King's Wytchmaker Rye IPA in a fancy 750 ml bottle. Look for a review... uh, in the next month or so! Overall, I'm pretty jealous of Austinites. Not only do they have the best movie theater I've ever been too, but they can drink beer there too. We really need to get us some Alamo Drafthouse style places up here. Or rather, gone movie watchin'. 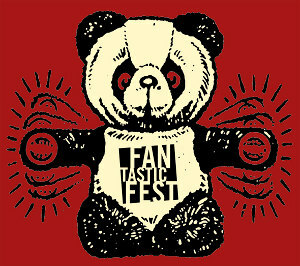 I'll be heading to Austin, TX for Fantastic Fest, so expect posting to be light for the next week or so. Fantastic Fest is a genre film festival (lots of horror, SF, action, and just plain weird stuff) and it's held at an Alamo Drafthouse. I've never been to one, but damn, a movie theater with good beer available? Near as I can tell, they've got lots of local Texas beers available - stuff from Live Oak, Independence (including a series of beers called the Brewluminati), (512), Jester King, Thirsty Planet, and presumably lots of others. And that's just at the theater. So there will be some beer bloggery resulting from this, maybe even while I'm there. If anyone's got any Texas beer recommendations, leave a comment. I'll try and find some (and maybe even smuggle some home). See you soon. Update: Had some trouble with the commenting system, but everything should be working now! Again Update: Just FYI, I've been keeping track of my beer dorkery on untappd. Will try to get a recap up on the blog towards the end of the week! So far, so good! 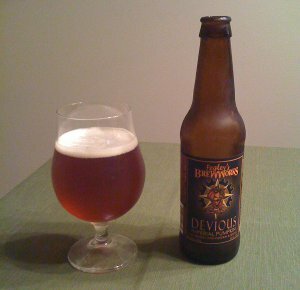 Beer Nerd Details: 10.5% ABV bottled (12 oz). Drank out of a tulip glass on 9/3/11. Given the dark color and high alcohol, I'd be interested in seeing how this stands up over time. It's probably all gone by now, but if I see more, I'll probably pick some up. Weyerbacher continues to be one of the more interesting local breweries. I don't know that I've had anything revelatory from them, but they're always interesting. That brand redesign they mentioned a few months ago needs to come soon. I mean, their logo is the woefully overused comic sans* text (with an underline). Comic Sans! Word on the street is that Greg at the Pour Curator interviewed them about the redesign a while back, but he has not posted it just yet. Will be curious to read it though. * Incidentally, Russian River uses comic sans as well, though not in their branding. They should probably stop that too, though it's not as distracting there. 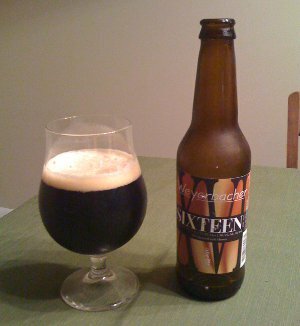 Beer Nerd Details: 10.5% ABV bottled (22 oz. bomber). Drank out of a tulip glass on 9/2/11. North Coast Old Rasputin Russian Imperial Stout - My contribution for the night, and probably the best beer I had all night. Nice and sweet, with a surprising hop aroma and flavor. 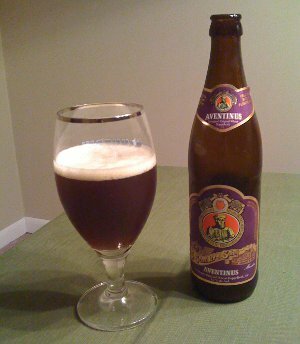 Perhaps because of that, it's got a nice, almost fruity character to go along with the typical sweet and roasty flavors. At 9%, it's got a bit of a booziness to it, but very well matched. I quite enjoyed it. 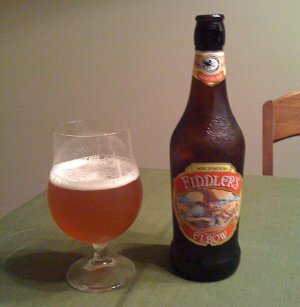 I've had a couple of these before, and I believe I have another one in the fridge, so perhaps I'll do a dedicated review at some point. For now, let's give it a B+, though it might eek its way into A- territory, depending on my mood. My Homebrewed Stout - My other contribution. It's definitely come out a bit more on the roasty side than I planned, but then, it's also got a nice caramel characteristic as well. It seemed to go over very well with the Beer Club crowd. Some even preferred it to Old Rasputin! Personally, it's not exactly what I was going for, but I do really enjoy it. I should probably catch up on all my homebrews in terms of reviews at some point, but for now, I'll give it a solid B (it's also still a bit on the young side, so it may even get better). And that about covers the beer. As usual, take the ratings with a grain of salt, as conditions were not ideal for uber-beer-nerdery (but they were ideal for fun, so there). I do kinda fudge the club name a bit, as it's more of a "beverage club" or even just a "supper club", meaning that not everyone who comes drinks beer. In the past, we've had Sake, root beer, and almost always wine. This month was no exception - we had a bottle of Coppola Merlot, which to my palate tasted quite sweet, with a nice dry finish. But then, I just finished sampling a bunch of roasty stouts. All in all, another successful outing. Look for the Whip recap in about two weeks! And it would probably make sense to do a fall seasonal theme next month too. Exciting!